For the last few months students from The Center for Cartooning Studies have been meeting with veterans at the VA Hospital in White River Junction. 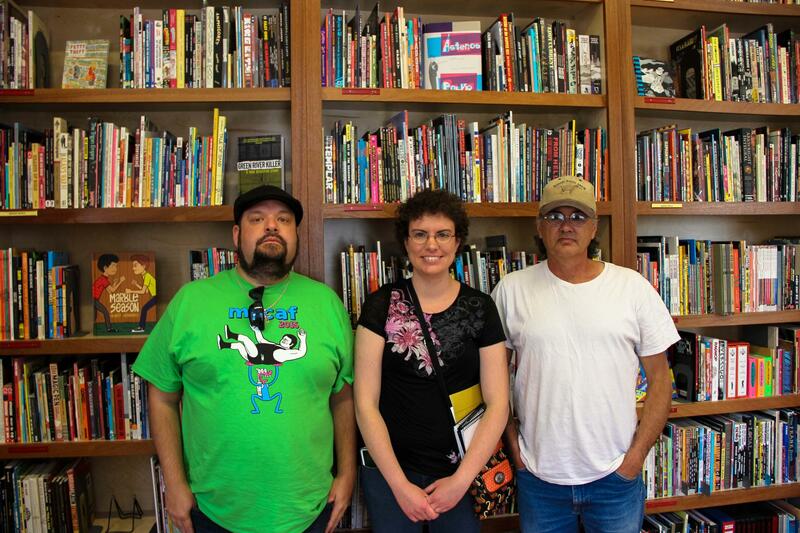 The hope is that a collection of veterans stories can be turned into an anthology of visual stories - comic strips based on the veterans' experiences. Listen to the radio version of the story here. The meeting of the cartoonists and the veterans takes place in Room 103 of Research Building 44 at White River Junction's VA Hospital. There's plenty of coffee and cookies and plenty of cartoonists. But as James Sturm, the co-founder of the Center for Cartoon Studies, scans the room, he's not seeing many veterans. 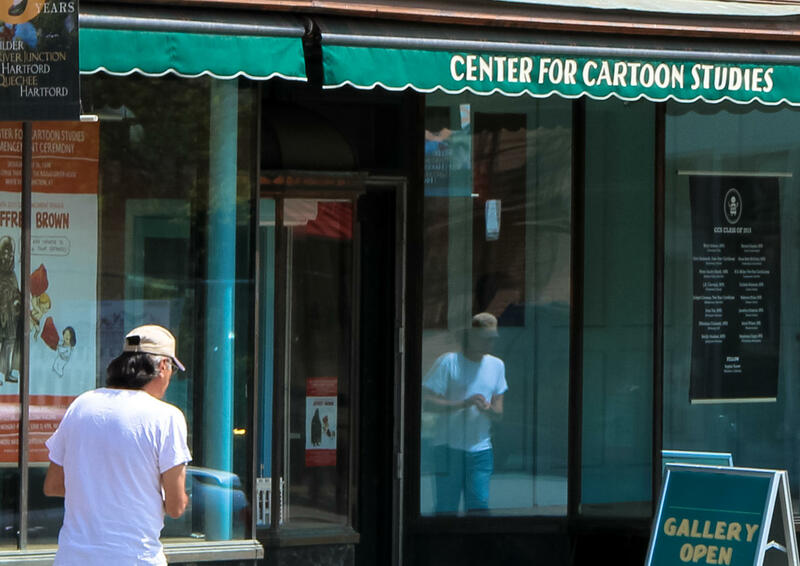 "So like there's not a lot of vets but a lot of cartoonists. So we'll see. We'll have to figure out more ways to get the word out but in the back of my head I was like "Ok, this could happen."" Sturm heads up to the podium to begin the process of breaking the ice between the wary groups. "You know I've been working with vets a little bit and I've been working with cartoonists my whole life. And I don't know which one is more awkward... So I don't expect you guys to skip out of here hand in hand ready to collaborate." After the meeting, veteran Kevin Willey wasn't sure what to make of it. "It was different. Yes it was. Very different. Did you have any feeling that you wanted to see your story like that? Mine wouldn't be combat related or war stories." Still, Willey puts name on the veterans list. He's willing to tell a cartoonist his story. He just can't imagine it working as a cartoon. 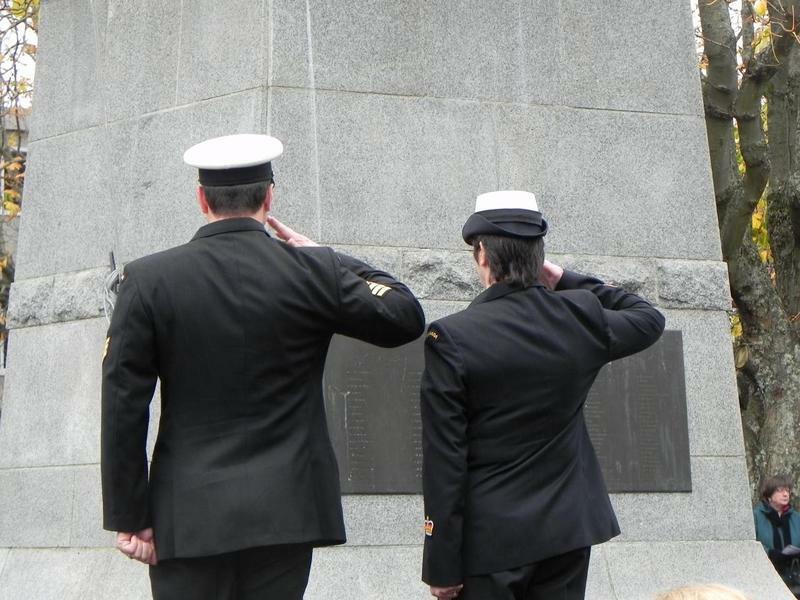 "My trauma happened after I got out of the Army over 30 years ago." 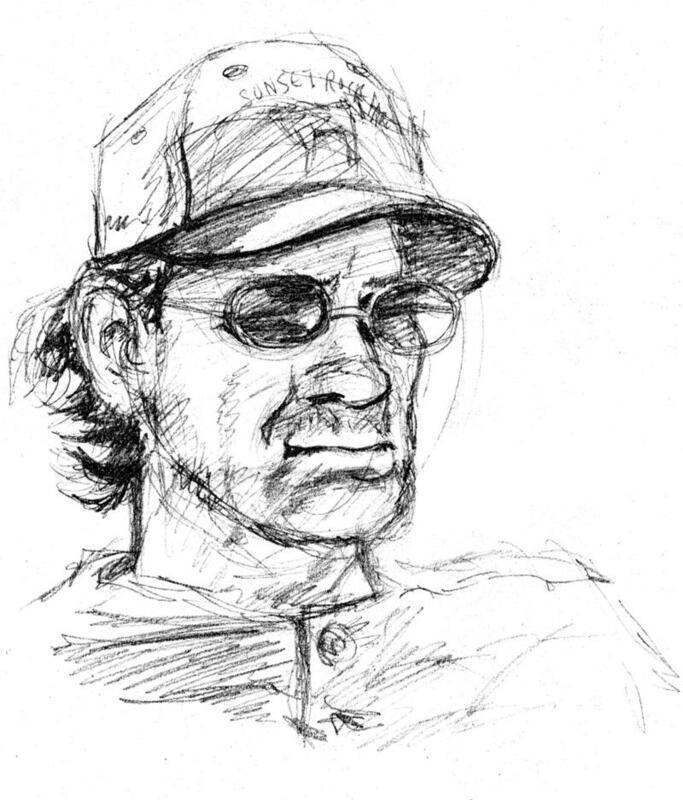 A few weeks later, Kevin Willey receives an email from cartoonist Kelly Swann and her writing partner, J.D. Lunt. "I was surprised when they contacted me and said they wanted to do my story." The three meet together between the river and the railroad tracks in Veterans Park. "And I just told them the story straight up. I didn't get too graphic, but graphic enough." Cartoonists J.D. Lunt and Kelly Swann and veteran Kevin Willey. For the six page comic, Kelly Swann will do the art. "I'm drawing it and inking and we kind of worked out the beats together." Writer J.D. Lunt provides a rough sense of those beats - or dramatic pivots - of Kevin Willey's story. "Farm life. War experience. Back home. Trauma. 30 lost years. Gets a massage. Those words strung together tell a story and also they don't." 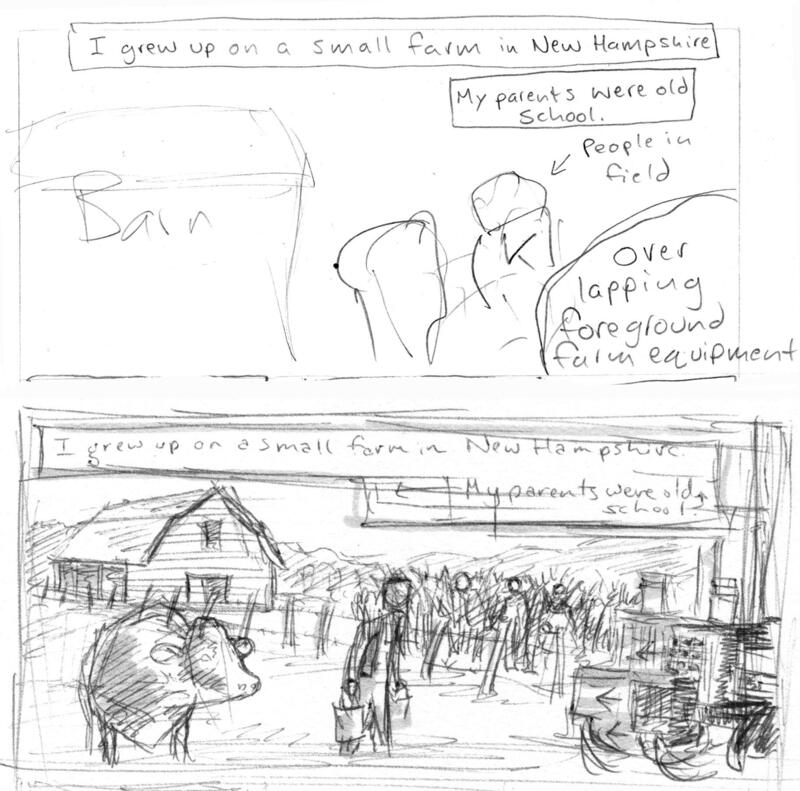 As cartoonist Lunt describes the process of turning those beats into a story, veteran Kevin Willey fills them in with personal details. Kelly Swann's field sketch of Willey's home. "I grew up in Whitefield, New Hampshire right beside Mount Washington. I tend to not think in terms of words or images but just trying to get that sense of what is the experience of this beat? What is the emotional territory?" In 1977,when he was 17, Willey left his family's dairy farm and joined the Army. He was stationed in Germany and assigned to a secret "red-eye" unit. "Most people don't know about it but we used to go across the border and bring people back across into West Germany, into freedom. How are we going to set up an expectation and surprise the reader with that turn of the page? Then I got discharged in 1980 and then I went back to dairy farming and then in January of 82 going into 83 is when I went to a party New Year's Eve and on the way home I was walking home and I got picked up in a car with two guys and they asked me if I wanted a ride home and I said yeah. I didn't know who they were. And it was snowing like mad that New Year's Eve. We got a lot of snow. We pulled into a nearby restaurant parking lot and that's where they attacked me, punched me and beat me up and then they… and that's when they had their way with me. And when they were done they threw me in the snow bank half naked and bleeding and then I managed to get up and walk home. And I never went to the hospital and I never went and got help and from that point on I just hid it for 30 years. I mean for us the important thing is for Kevin to be able to read the comic we make and go, "Yes, this is the story I want to tell."" For the next 30 years, Kevin Willey didn't touch another human being. "No physical contact. No sexual contact or anything. For years I drank and drugged myself. That was the only way I could sleep at night. I went from New Hampshire to Florida to California to Vermont and Connecticut. I was too restless. Could not settle down. I tried to have a social life but you couldn't do it. Couldn't do it. You know I just always - I always felt different, dirty. I was always strange." In October of 2013 someone recommended Willey go to the VA. He went through the program, was assigned a therapist, and eventually moved to White River Junction to be the near the hospital. For the last 17 months he's been an almost daily visitor. "You know you get to the point where you repeat the story so many times. You don't get used to it but you get to the point where you don't break down. Course most of the time I haven't heard of any men talking about getting raped except you know on TV and Hollywood. You see it in movies and stuff but even that, I couldn't even watch that. I'd get sick every time. You can't just go "Okay ready, stop stigmatizing this." So being able to gently hold someone else's story and share that is the only way I can see change happening. Finally last year I went to a massage therapist and let somebody touch me for the first time in that many years...and phew...what do I say it's like a snake shedding its skin I guess you could say that. 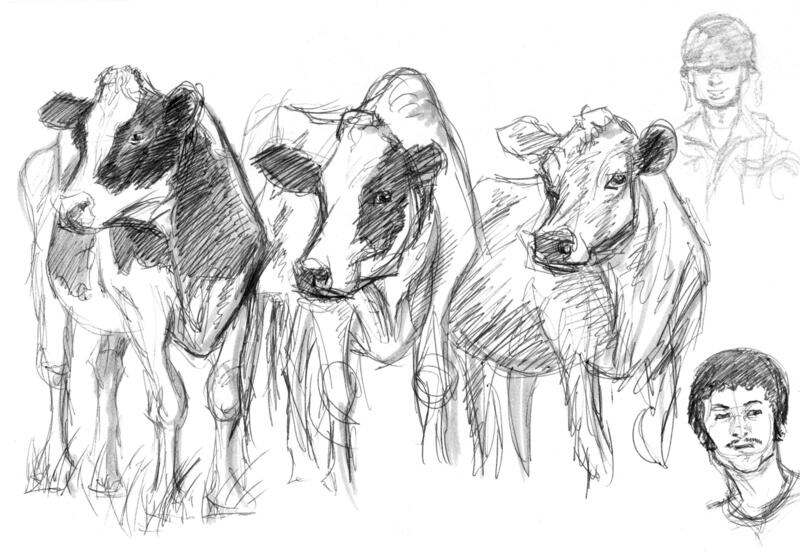 Farm life. War experience. Back home. Trauma. 30 lost years. Gets a massage. When I was a kid growing up we read Fantastic Four, Charlie Brown, you know and later on I read Calvin and Hobbes. I could relate to them two." And once his story is out there, Willey is hoping there's someone in the world who can relate to him. Someone who won't wait 30 years to get help like he did. "I'm hoping even if it helps one person. You know I'm not the only vet who's been victimized like this." When he was 17, Kevin Willey helped people he didn't know from towns he couldn't pronounce over ground laced with landmines into freedom. He never fired his weapon. He was never in any war you ever heard of. Advocates for veterans in the North Country are working with state and local law enforcement agencies and the court system to create a court diversion program for veterans. The diversion program will attempt to keep some veterans accused of non-violent crimes from going to jail. 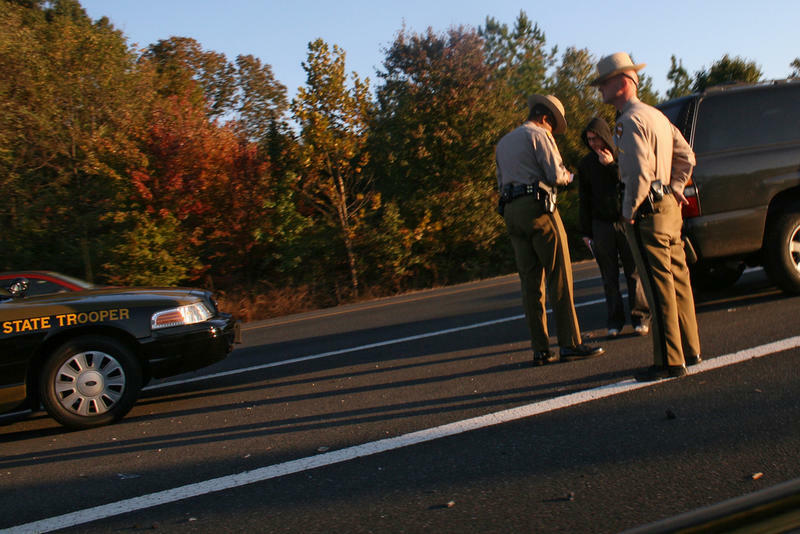 It’s designed to help veterans treat the underlying problems that cause them to have run-ins with police. Dave Canter is co-chair of Vet-to-Vet, a peer support program for veterans in Gorham. He says this is not a "get out of jail free" card. Veterans' Groups Encourage Service Providers to "Ask the Question"
Representatives from local and national veterans' organizations gathered in Concord Friday to explore ways to help veterans entering the justice system. The groups are encouraging police officers and other service providers to ask people they encounter if they’ve ever served in the military. If the answer is “yes,” then these service providers could steer the veteran to customized services. 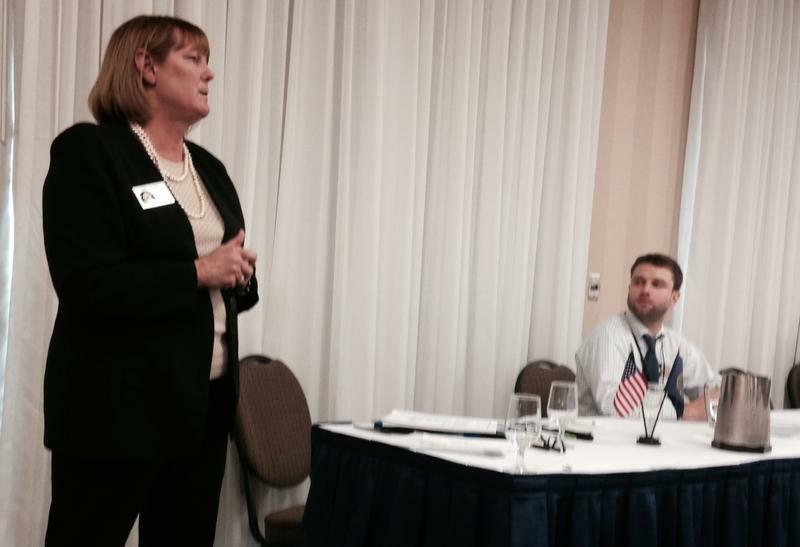 New Hampshire is holding its first conference focused on the needs of veterans who end up involved in the judicial system. Friday's "Justice Involved Veterans Conference" in Concord is organized by the New Hampshire Justice Involved Veterans Task Force and sponsored by the state Department of Health and Human Services. Discussions will be held on post-traumatic stress disorder in veterans and active-duty military; judges addressing how veterans are served; and hearing veterans' voices. 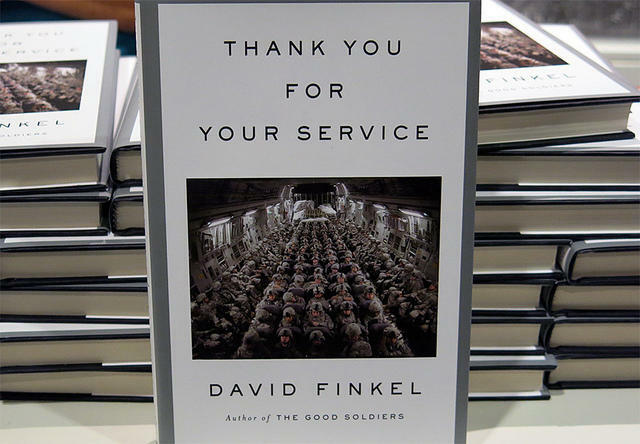 We're talking with Pulitzer Prize winning Washington Post reporter David Finkel about his work covering the lives of Iraq War veterans -- their experiences in war and returning home, where they often face what Finkel calls the "after-war." Twenty-eight years ago today, artist Bill Watterson’s only syndicated comic strip hit newspapers for the first time, introducing readers to a rowdy six-year old named Calvin, and his often hungry and always kindhearted companion, a stuffed tiger named Hobbes. The strip quickly grew to become arguably the most popular comic of its era – but after ten years in print, the reclusive Watterson retired his pens and brushes, and retreated from the public eye. Now, almost thirty years later, adoring fans carry a nostalgic torch for the quiet subversion, unbridled joy, and beautifully rendered drawings of Watterson’s Calvin and Hobbes. 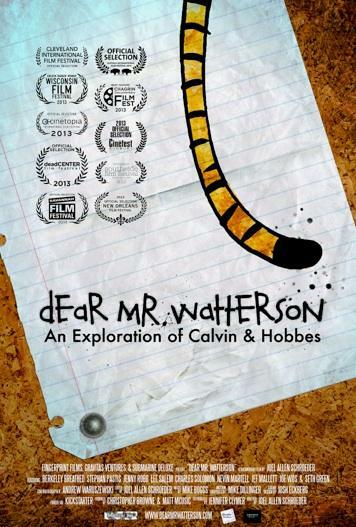 “Dear Mr. Watterson” is a new documentary film by director Joel Allen Schroeder that explores the enduring influence Calvin and Hobbes had on a generation of fans and artists. The movie is now out in select theaters and available on demand. We also spoke with Tim Hulsizer, creator of the Calvin and Hobbes Fan Website. Images courtesy of Drawn & Quarterly. Copyright Tom Gauld. 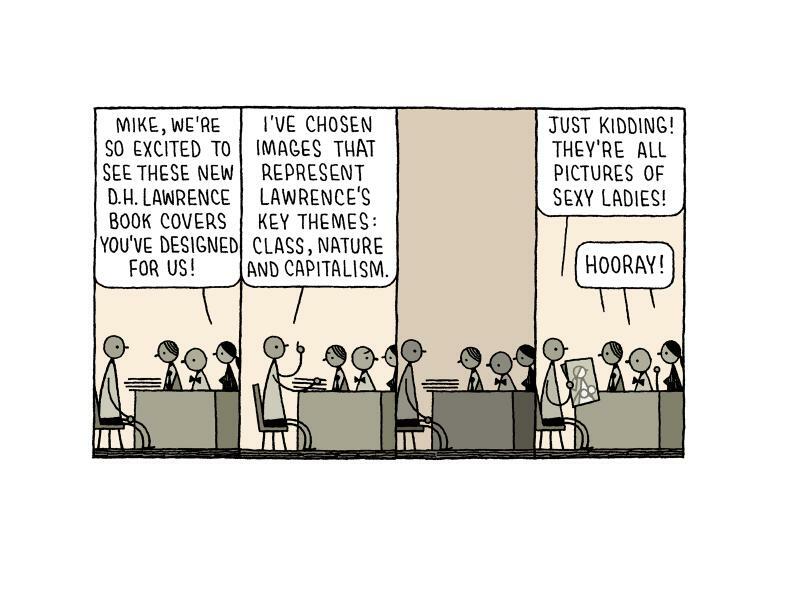 Tom Gauld's cartoon panels have been described as bleak, minimalist, sweet and funny. The London-based cartoonist and illustrator draws a weekly cartoon for The Guardian newspaper’s book review section, and has cracked the US market with comic strips in The New York Times Magazine. A new collection of those strips called, You’re All Just Jealous of My Jetpack, will be released in the US on April 30th. 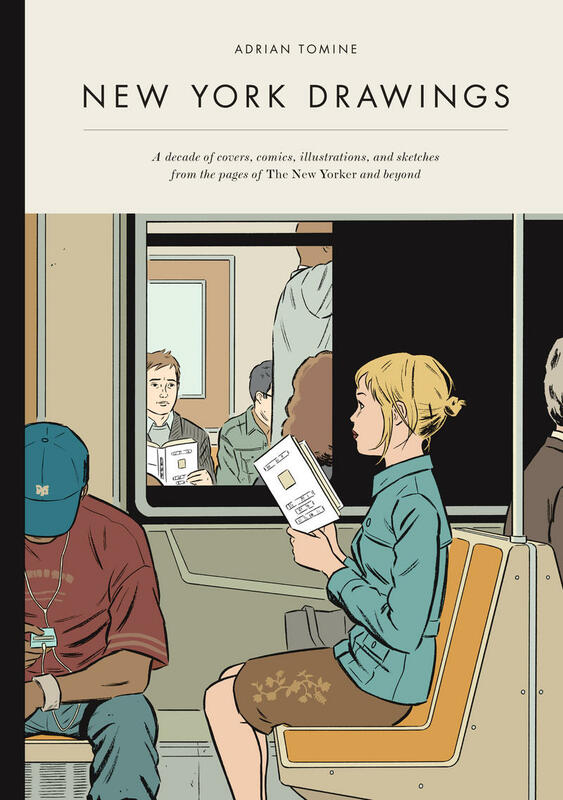 The cover of the November 12th issue of The New Yorker effectively summed up the two big stories coming out of New York City this past month: Hurricane Sandy and Election 2012. In the picture, a backpacked shaggy-haired man, chest-high in water, searches for his polling place among the pitch-black flooded streets of the Big Apple. It’s a drawing that someone makes a city of over eight million people seem like a very lonely place to be.